ROCK ISLAND, Ill. - Across the state, University of Illinois Extension and their volunteer Master Gardeners are busy planning, organizing and hosting horticulture education programs. “Winter is a great time for horticulture classes,” said Martha Smith, Extension horticulture educator. “While their gardens lay dormant, they can learn, plan, and gear up for the new season ahead.” Smith is part of the team of Extension horticulture educators who travel across the state to share their knowledge at a wide array of Extension sponsored horticulture workshops, conferences, and Master Gardener trainings offered in all 102 counties. Gardeners seek out Illinois Extension programs to gain insight on the latest developments in horticulture and to get inspired for the upcoming gardening season. Many decide to complete training and community service with Extension to become a Master Gardener, a meaningful way to give back and change lives while learning. 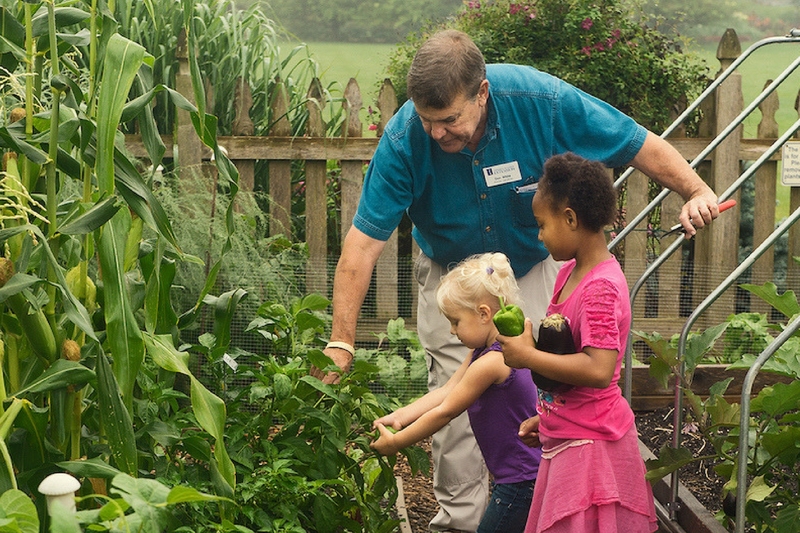 In 2017 alone, Extension’s 3,000 Master Gardener volunteers sustained nearly 500 community gardens, donating 60,000 pounds of produce to food pantries. Smith and her colleagues recently hosted their 21st annual Nursery School: Lessons in Gardening on Saturday, February 17 in Rock Island, Illinois. Over 200 people attend the event each year. “We bring in a well-known keynote speaker as well as local and regional experts and Extension specialists to share workshops on a wide range of topics.” Smith explains. This year’s keynote was Edward Lyon, Director of Reiman Gardens at Iowa State University. Lyon talked about the trend of using native perennials, trees and shrubs in the home garden, addressing the trials and tribulations of the native plant movement. Other speakers covered such timely topics as “Using the USDA Cold Hardy Chart” by Dr. S. Elwynn Taylor, professor of Meteorology at Iowa State University; “Patterns and Rhythms in Nature that Inspire Japanese Gardens” by Catherine Marsh of Anderson Japanese Gardens; “Landscaping for the Long Term” by Chris Enroth, Extension horticulture educator; “Native Pollinators” by Ken Johnson, Extension horticulture educator; “and 13 more topics by prominent speakers. Illinois Extension has long been a valuable resource for home horticulture, connecting communities to university research. Extension trains Master Gardeners, hosts educational events, and offers free advice through horticulture hotlines, online resources, and by providing soil test kits and access to the University of Illinois Plant Clinic. Extension’s horticulture educators help make real change happen on the ground, helping plan community gardens, curb the spread of emerald ash borer, and many other initiatives. For more information, check out Illinois Extension’s extensive selection of horticulture education programs here.